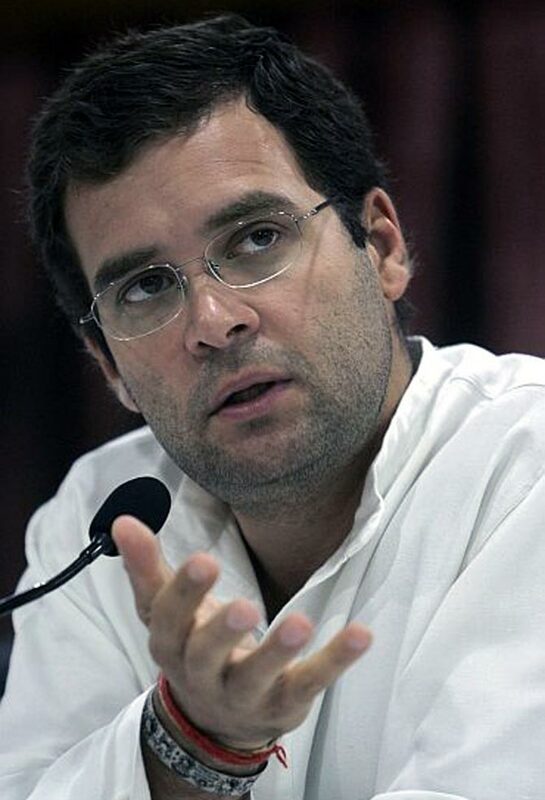 Rediff.com » Business » Modi-Rahul rivalry behind Amul rift? Modi-Rahul rivalry behind Amul rift? Gujarat Co-operative Milk Marketing Federation Chairman Vipul Chaudhary’s growing proximity to Rahul Gandhi and the Congress may have caused the recent boardroom battle. 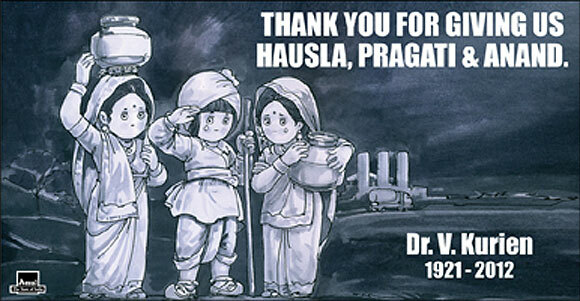 This is one controversy that the witty Amul girl has always stayed away from. Known for her keen sense of satire, she distances herself every time a boardroom battle erupts at her own company. This time too she has maintained a stoic silence as a new drama unfolds at the Gujarat Co-operative Milk Marketing Federation (GCMMF) to oust Chairman Vipul Chaudhary. This isn’t the first time that the board members of the country's largest milk body, GCMMF, which owns the Amul brand, are fighting for control. Boardroom disputes have marked the tenure of pretty much every chairman of the co- operative - from its founder Verghese Kurien to Chaudhary’s predecessor, Parthi Bhatol. The reasons why the members can’t get along are many - from political brinkmanship to personal ambitions. Chaudhary’s name for chairmanship, for instance, was suggested by Bhatol, who has now turned into his strongest critic. 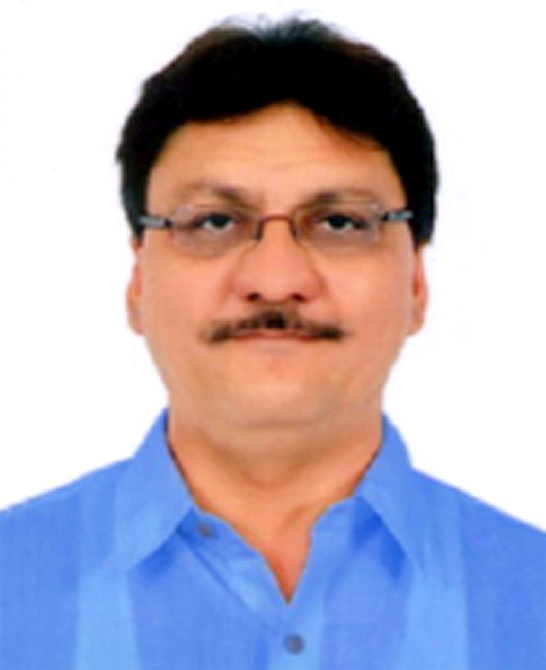 Bhatol recently castigated Chaudhary in public for bypassing the board with regard to decisions at Mehsana District Cooperative Milk Producers Union, the largest member of GCMMF. Chaudhary’s fellow board members have also accused him of financial irregularities at Mehsana and adopting an autocratic style of functioning. “The directors of several co-operative milk unions are fed up with Chaudhary’s style of functioning. His ways are autocratic and he does not bother to consult anybody before taking important decisions,” said Bhatol on October 28. The board members are now in favour of a no-trust vote against him. Interestingly, Chaudhary himself has been a witness to many boardroom battles, including the one that dethroned Kurien, fondly called the Milkman of India. He was also instrumental in the plan to oust Bhatol in 2010. Now in the same predicament, many trace his problems to a letter GCMMF sent to Mehsana District Co-operative Milk Producers’ Union, popularly known as Dudhsagar Dairy, accusing the union there of financial mismanagement. In the letter, GCMMF also pulled up the Mehsana union for the huge loans of Rs 1,357.46 crore (Rs 13.57 billion) on its books and for offering cattle feed worth Rs 22.50 crore (Rs 225 million) to Maharashtra farmers free of cost without taking the approval of the union's board. The constant decline in milk procurement by the union was another sore point with GCMMF. However, before some of those alleged problems could be sorted out, allegations began to fly thick and fast at Chaudhary’s style of functioning. Chaudhary’s detractors say he twisted norms to get his close aides appointed in the Mehsana union by-passing the rules and even sold milk powder (worth Rs 120 crore) directly to private parties without the consent of the federation. The board members are demanding his ouster on these grounds. 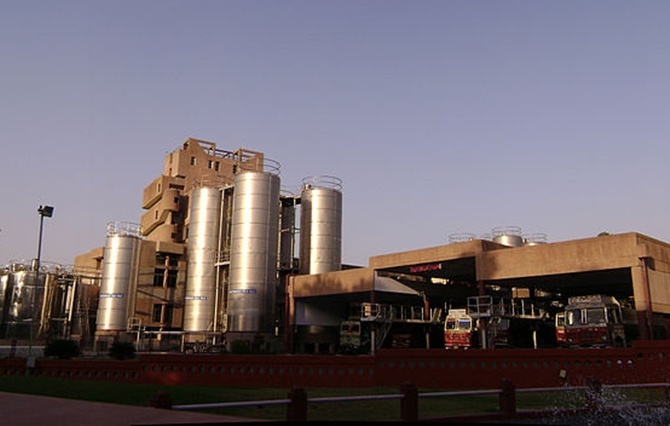 Image: Amul Plant at Anand. Those closely monitoring the developments sense political undercurrent in the controversy. Chaudhary, who is close to Gujarat Chief Minister Narendra Modi, is now perceived to be cosying up to the Congress. Just before the controversy erupted, he was seen with Congress Vice-President Rahul Gandhi during his visit to Ahmedabad. The meeting purportedly was in connection with the chairmanship of the National Dairy Development Board (NDDB). “Congress has been enticing Chaudhary with the chairmanship of NDDB which falls vacant soon after the current chairperson, Amrita Patel, steps down,” says a person close to the development. There is no doubt dairy boards across the country are mired in politicking, considering their vast reach and sway over an important vote bank: dairy farmers. In this milieu, Chaudhary, whose dalliances with politics are not accidental, has always managed to exact a price for his loyalty to a political party. In 1997, he was involved in Shankersinh Vaghela’s (Rastriya Janata Party) coup against his own Bhartiya Janata Party government. In return, he was made the home minister in the Vaghela government. In 2007, Chaudhary switched sides and joined BJP. Soon thereafter, he was re-elected chairman of the Dudhsagar Dairy and later, in 2012, was elected unopposed the chairman of GCMMF. While there was dissent against him since the beginning, he was able to leverage his proximity to Modi to keep his detractors at bay—that is until now. “In the last one year, not a single board meeting has taken place without hungama,” says a board member. 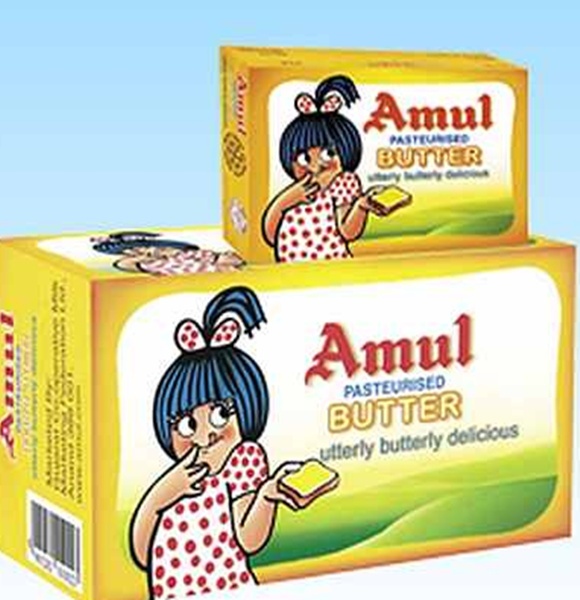 While Chaudhary has been able to fend off any immediate trouble with the Gujarat High Court putting a stay on the requisition meeting called for his ouster until further hearing on November 11, many fear the biggest loser amid the drama being played out could be the cooperative and its flagship brand, Amul. The fallout on the brand is likely to be less as Amul has huge brand equity, but there could be some severe consequences for the co-operative. Image: A worker unloads processed cheese from a pressure cooker. However, the organisational part is a different ballgame. “The Amul brand has two distinct aspects; one is the dairy products brand and the other is the image of a hugely successful cooperative. Recent bickerings and bitter boardroom battles for power are taking a toll on the “successful co-operative” image. It is sending out a wrong signal. People see us as a farmer-run co-operative that is not being able to run the show," says a senior GCMMF official. Many also fear frequent politicking will make it harder for GCMMF to attract and retain talent. 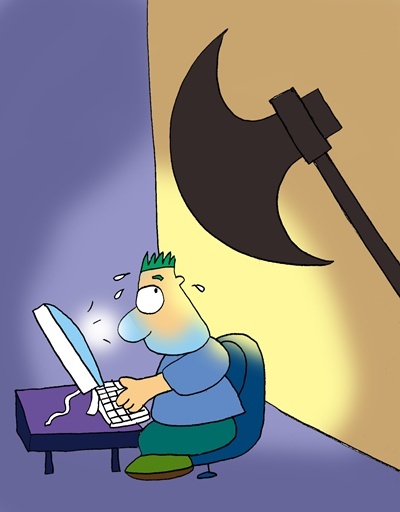 “When such situations arise in the backdrop of a political tussle at the top, executives become insecure and they hesitate to take concrete decisions. In the long run, it would affect our talent pool,” says another official. There could be some threats to the structure of the federation itself. The head of another dairy, who does not want to be named, says, “Due to such controversies, the structure of the federation is indeed getting weak. Due to this factionalism, the way marketing and product development should have been done, is not happening. This is hurting the farmers,” he says. 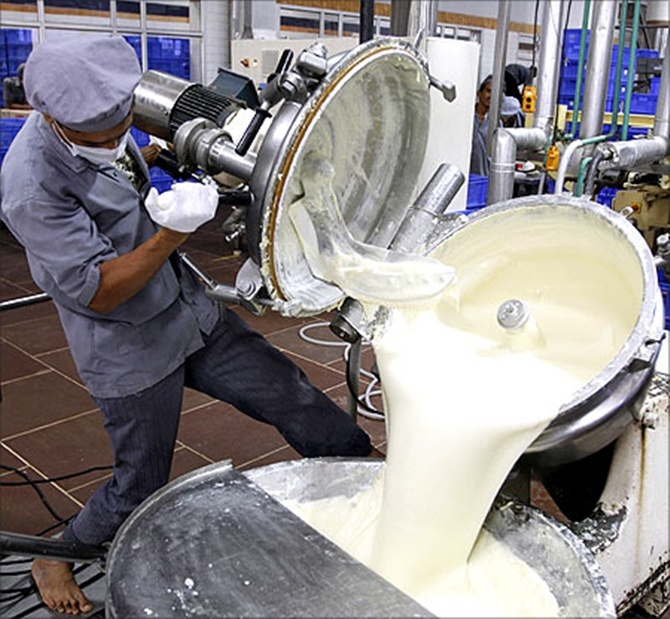 The dairy co-operative's founding chairman, Kurien, had forewarned about the dangers of mixing politics with business. “The politicking in GCMMF will only vitiate the atmosphere. It should not happen,” he had once said. Sadly, politicisation started right under his nose after Kurien fell out with Modi in 2004. “In any co-operative when the leadership gets eroded, then issues with running the co-operative also start rising. When Kurien was at the helm, he did not represent any particular dairy union, he was unbiased. Now, however, the chairman represents a particular dairy, and though he is democratically elected to head the entire federation, few have managed to rise above petty interests. He has to take care of political interests too,” says a GCMMF insider. One reason GCMMF has been in political hotbed is its potential to influence a huge vote bank. The federation represents access to over 3.18 million farmers (not to mention their family members) of the state’s total 37.8 million voters. “The person who holds the chair of the leader of GCMMF can say I represent over 3 million farmers, and that raises his political value,” says an official. Hence, the bitter race to become the chief. More than being a representative and leader of the farmers, it is a coveted position that enjoys political privileges.